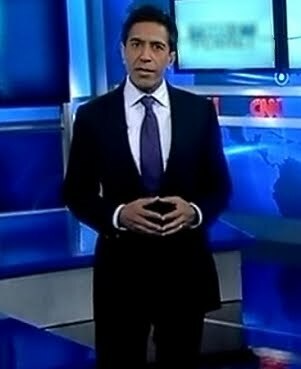 CNN chief medical correspondent Dr. Sanjay Gupta helms a two-night special investigation, the result of a year-long, stunning look into toxic chemicals, health and the environment. On Wednesday, June 2 at 8pm, ET/PT Toxic Towns USA presents one town’s fight for survival amidst 14 chemical plants. On Thursday, June 3, Dr. Gupta takes his search for answers to an all-star roundtable of experts who say widespread exposure to toxic chemicals begins even before birth. The team dissects the latest science on how to minimize risks to pregnant women and children from potentially harmful chemicals found in the air, in homes, and in common household products. The one-hour live special TOXIC CHILDHOOD debuts at 8pm, ET/PT. At the heart of TOXIC TOWNS USA are two “granny Erin Brockoviches” – women waging fierce battle against both industry and government with science and political action. Chemist-turned-environmental-activist Wilma Subra developed a “chemical fingerprint” test to trace toxic by-products from nearby factories. Life-long Mossville, La. resident Dorothy Felix tries to force local industry to take responsibility for the health issues of residents through state legislators and in town hall meetings with government regulators. More than 8 in 10 Mossville residents report serious health problems including cancers, kidney disease, and other ailments. Residents of Mossville allege an “environmental crime” is taking place: that they are being taken advantage of by manufacturers – and ignored by government regulators – because they are mostly poor and African American. Dr. Gupta finds evidence that reveals pollution from one plant was kept secret for years from the community, and he speaks with an industry whistleblower who describes extensive contamination of the plant’s facilities that left workers at risk, and environmental exposure to toxic chemicals for people living nearby. Dr. Gupta challenges the manufacturers, the Environmental Protection Agency, and the Centers for Disease Control and Prevention to explain the difference between current safety standards – which companies and regulators say are sufficient – and the health problems of residents in proximity to local plants. “As a father and a doctor, I wanted to know: how safe are these chemicals that are all around us – even in the womb? Regulators and industry executives seem to take an ‘innocent until proven guilty’ approach to exposure, but I don’t think that is enough for most consumers. We want the best facts, the best science on safety for our families. That’s what I wanted to bring to our viewers,” says Dr. Gupta. Digital users can submit iReports describing industrial or chemical pollution in their homes and communities. An interactive map will highlight state rankings for emissions of five common toxic chemicals – dioxin, mercury, lead, benzene, and vinyl chloride – reported by manufacturers to the Environmental Protection Agency at www.cnn.com/toxicamerica. Toxic Towns USA is a Sanjay Gupta, MD documentary produced by David S. Martin and Caleb Hellerman. Jeff Kepnes and Jim McGinnis produced Toxic Childhood. Roni Selig is the senior executive producer and director for the Health, Medical and Wellness unit at CNN. I'm looking forward to watching the report on Thursday June 3rd...as i believe I live in a Toxic Town(Roanoke) I have been exposed to toxins in my career,and now live next door a factory who not only polutes with toxins,but also with noise. i never get to leave the factory. Like I said I'l be watching the report. Thanks for allowing me to speak my opinion. Thank you for bringing this message to light. I wanted to say that when you become ill because of a toxin in the environment it's nearly impossible as a regular citizen to get anyone to listen to you. The reason that there isn't enough evidence about toxic exposure and illness isn't because it's not happening but because of a gap in our system for linking together the illness with the toxin. With our current system it can take years to invetigate a cluster of illness and that is only if someone fights for the study to be done. We live in a time when there are so many untested chemicals that it's nearly impossible to say which chemicals caused the cancer or the illness. I'd personally like to see a database in real time for doctors to imput illness directly to the public health department. Clusters would pop up all over showing us that these toxic plants really do cause sickness and death. Your two programs Toxic Towns and Toxic Childhood are extremely eye opening. Last week, I have watched them twice with keen interest. Not just for my own health but for everyone’s health. They clearly illustrate the toxic hazards we face in our every day living. First, with the town of Mossville. Listening to the people of Mossville, explain their dilemma and examine their options for real solutions which may take years of hard work to accomplish. The corporate opposition is heart wrenching. These residents have no quick or comprehensive fix. Second, with the governmental agencies and Senator Frank Lautenberg. Touching the heart of the responsible governmental agencies and with Senator Lautenberg’s who introduced “The Safe Chemicals Act of 2010”. This is a great first step for long term corrections of our toxic environment. Is there something that can benefit these people while still living in a toxic world? Yes I believe there is. It is an all natural wellness drink developed by Dr Brazos Mindshew and TriVita called Nopalea. It is made from the Nopal cactus and has 24 antioxidants called betalains. These betalains give Nopalea amazing power to reduce the effect of toxins on the body. Please go to www.sonoranbloom.com/13199154 click on products and on Nopalea. Watch the video about how Nopalea can revitalize the body. Read about the amazing power of Nopalea can reduce the effects of toxins in the body. Dr Gupta, you will be glad you did. I see this as an immediate relief for our people. A very concerned senior citizen of Minnesota. P.S.S. Last month while at dinner with Senator Lautenberg, he discussed his Safe Chemicals Act of 2010. The Senator and I served together in the Army Signal Corps in Europe during WWII. Can Larry King Still Compete?